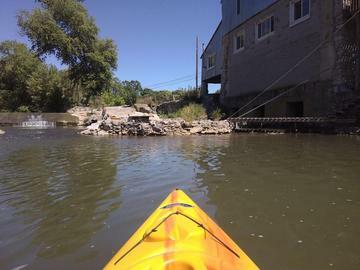 This guided kayaking tour takes place on the tail end of the scenic Conococheague Creek. This adventure is the one of the shortest kayaking tours that we offer in terms of trip length and duration. Near the end of the tour, kayakers will paddle though the confluence of where the Conococheague Creek empties into the Potomac River. Kayakers on this route will enjoy beautiful views of wooded areas and surrounding farmlands.